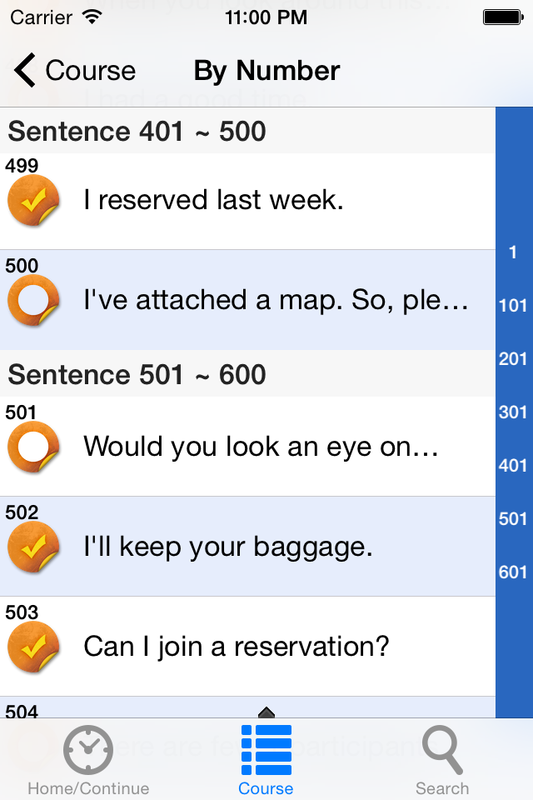 Description This app supports you to learn Korean by listening sentences. You can hear Korean voice by repetition of sounds. * to practice Korean by repetition of sounds. * to speak Korean in a sentence than a word. * to confirm Korean sentence with the sound, and search by English. * to hear the correct pronunciation by the voice of native Korean. * Playback with repetition, and easy setting. * Keyword search / Your search history. * Continuous playback in sleep mode. - Search list can be removed by the swiping. - A language can be changed in the course top!